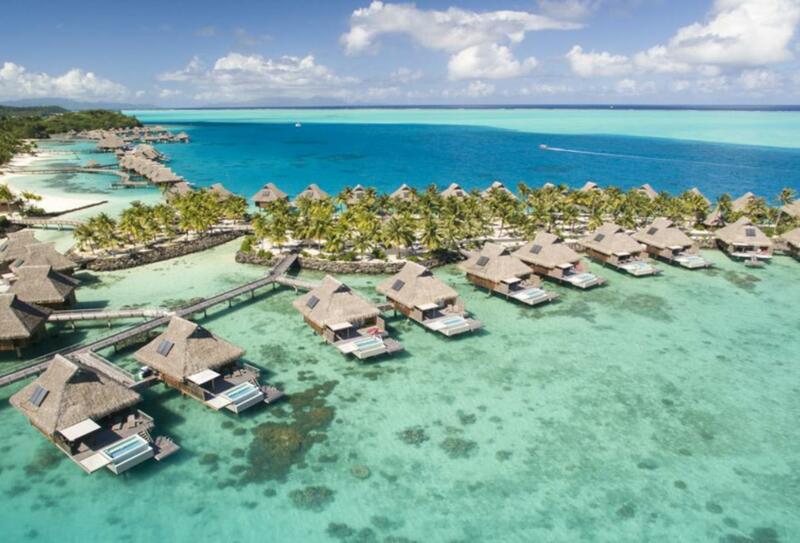 Conrad Bora Bora is nestled within a cove with white sand, turquoise sea and black lava rocks. 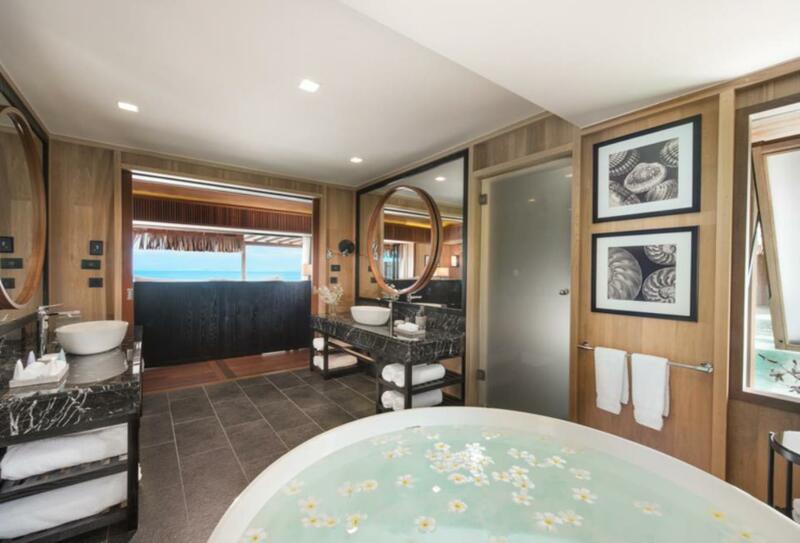 It combines traditional Polynesian traditions with state-of-the-art amenities. 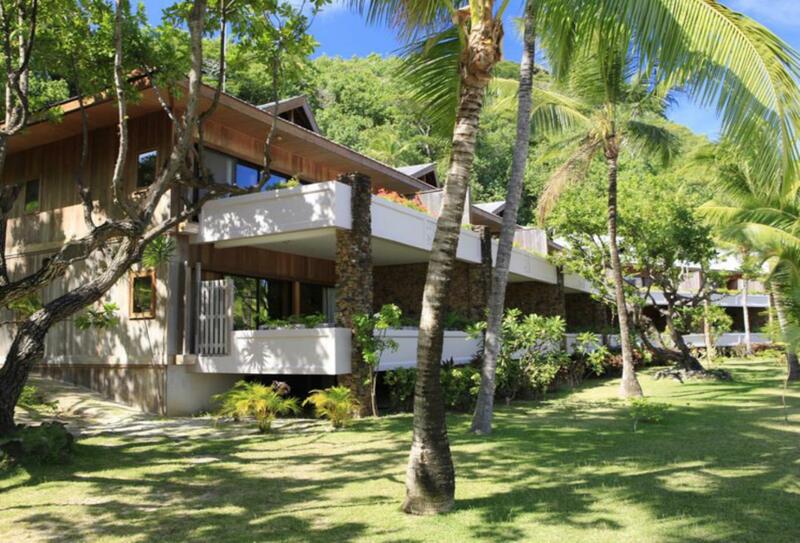 It is located on the longest stretch of white sandy beach between Mount Otemanu and the lagoon. 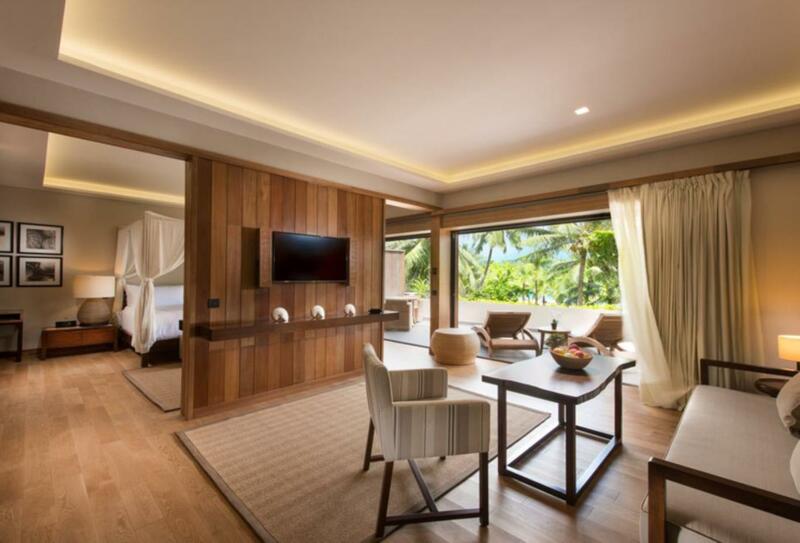 Accommodation is renovated and features villas and suites. 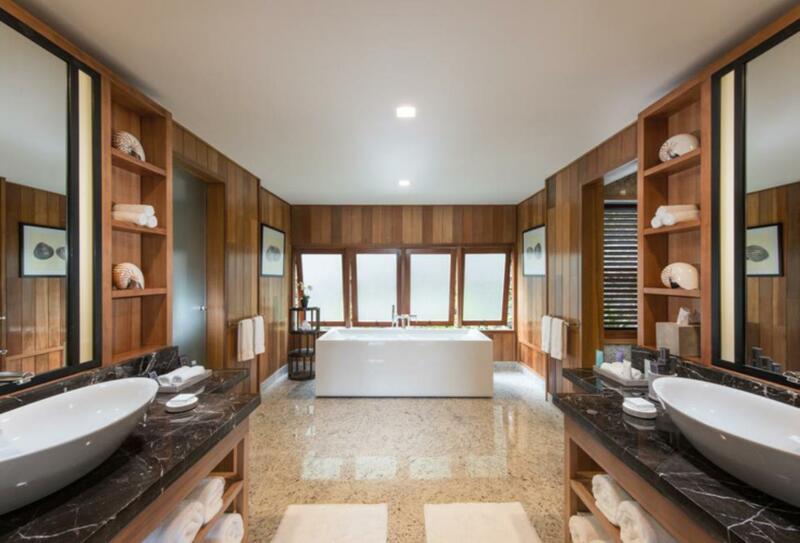 There are a variety of activities to choose from including swimming, hiking, spending a day of the private islet of Motu Tapu or relaxing at the hilltop Hina Spa. 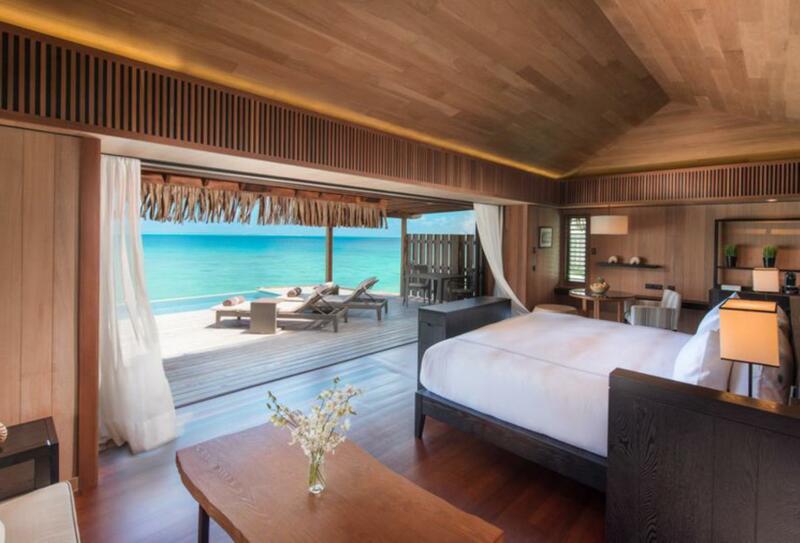 This villa features a king-size bed, large bathroom with tub and separate shower, a dressing room and a private terrace with an overwater hammock. 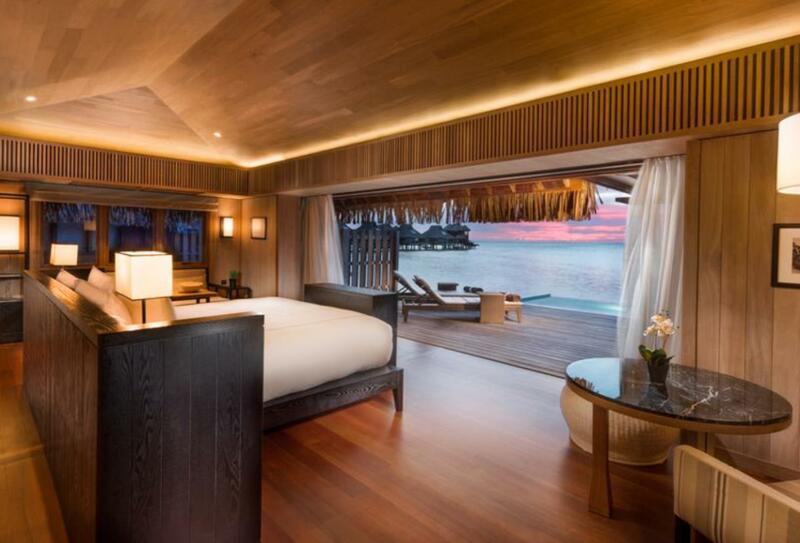 This suite features either a king-size or twin beds and a seating area with a sofa bed and a private balcony with lagoon view. 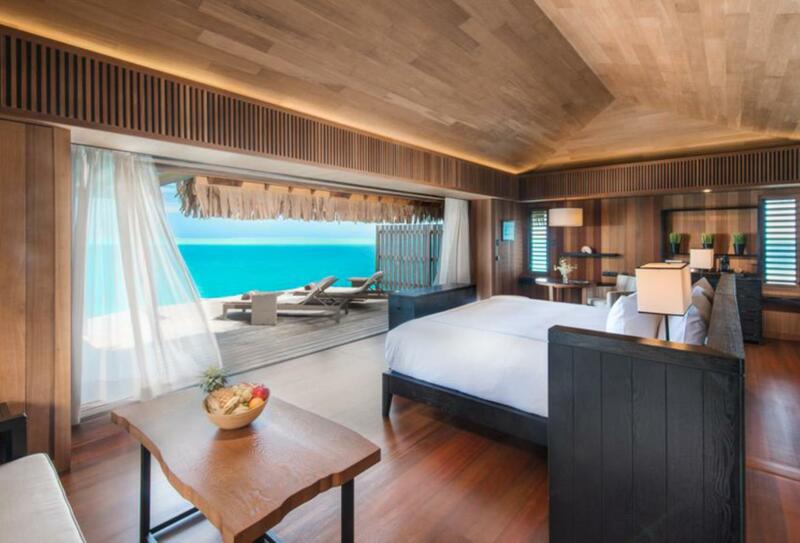 This villa features direct access to the lagoon, a floating overwater hammock and a private infinity pool. 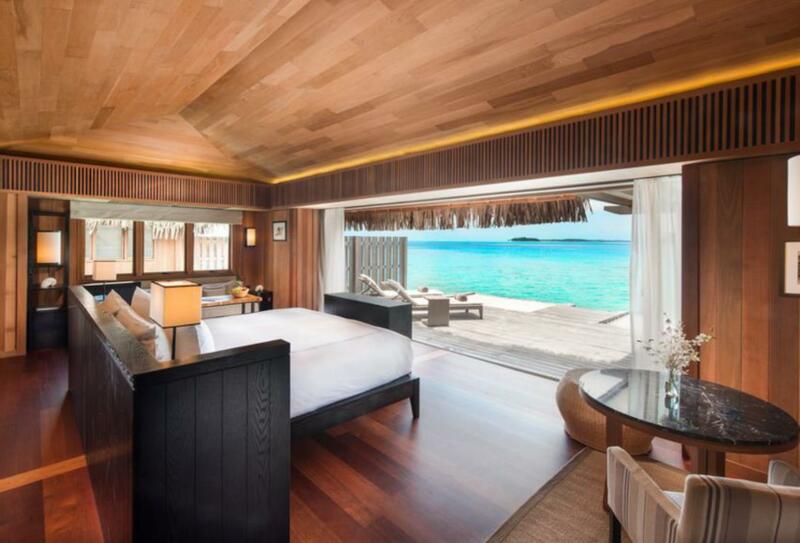 This overwater villa features a king-size bed, a private terrace with overwater hammock and direct access to the lagoon. This is the resort’s signature restaurant is open for breakfast and dinner and serves a modern take on a French brasserie. 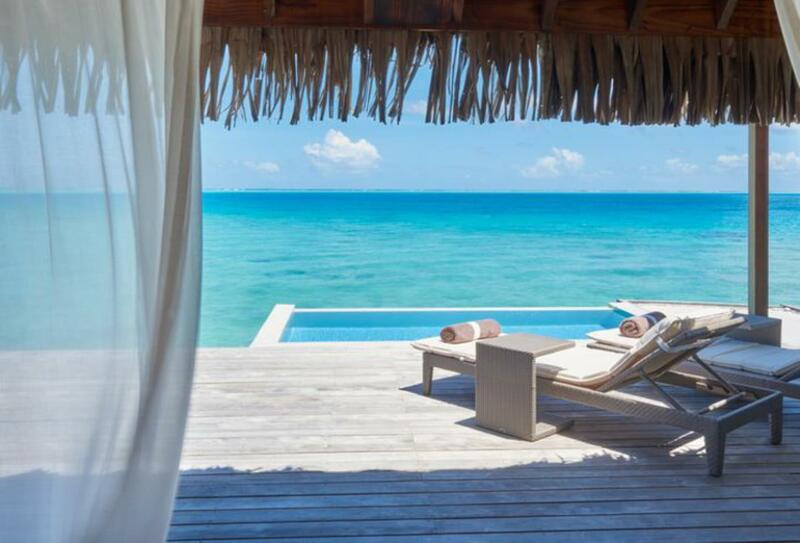 Tamure is a casual beachside restaurant which serves Mediterranean and Polynesian cuisine. 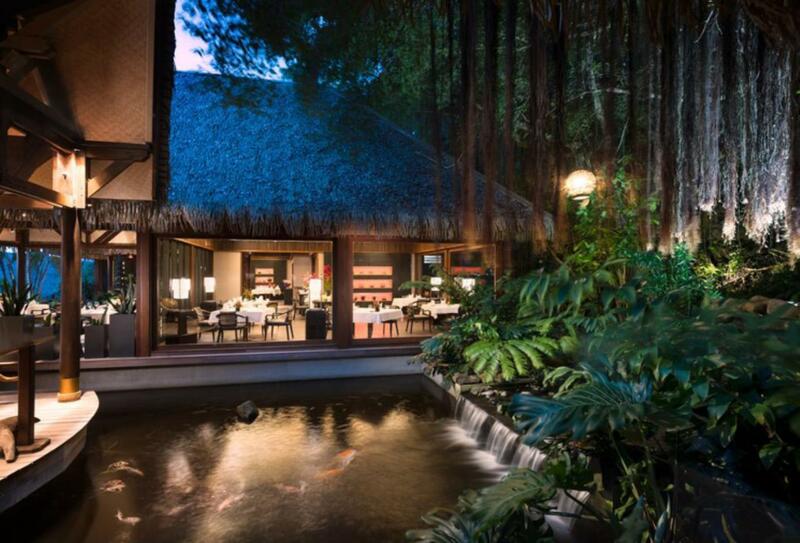 This modern Chinese restaurant serves a la carte dinner offerings inspired by traditional Cantonese cuisine. Featuring a glass door deck, the lounge opens mid-afternoon with a selection of tea and French pastries along with tapas, finger food and a cocktail menu. This adjoins the Iriatai French restaurant and is a wine bar and cellar. 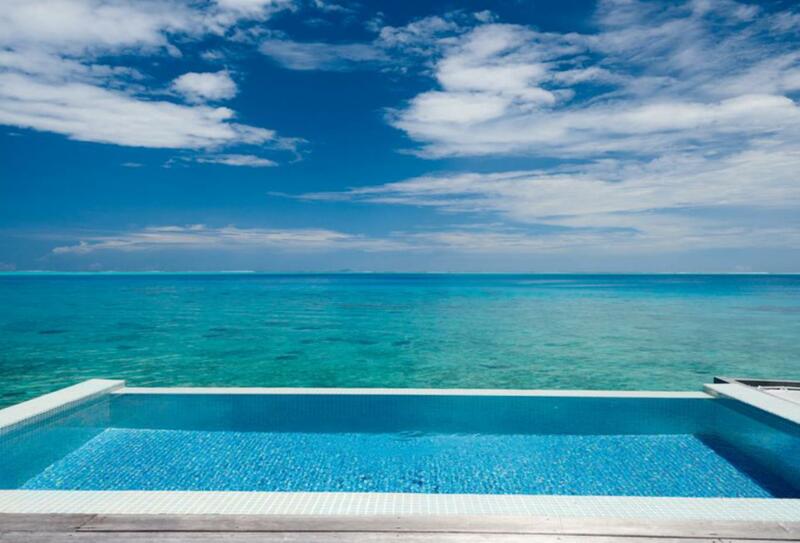 This is a full-service bar with a swim up and dry counter serving modern cocktails, ice-cream and soft drinks. 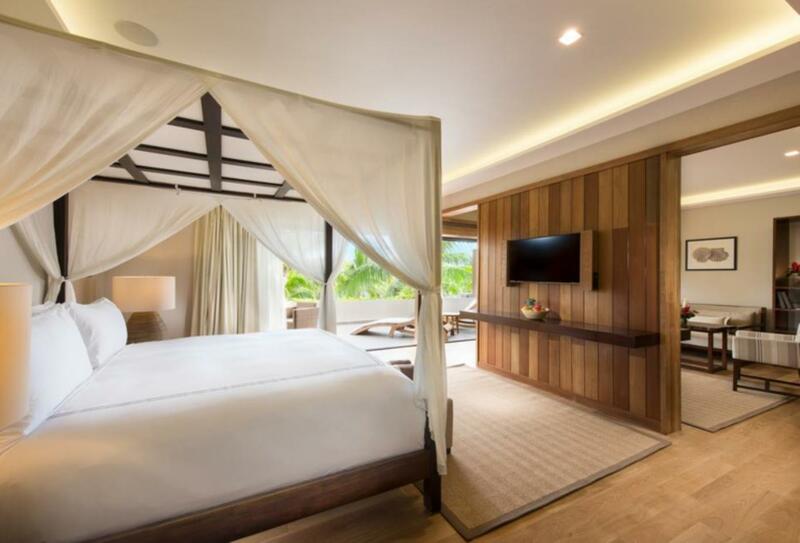 Conrad Bora Bora is located in the private cove of Motu To’opua and is secluded from the rest of the island. 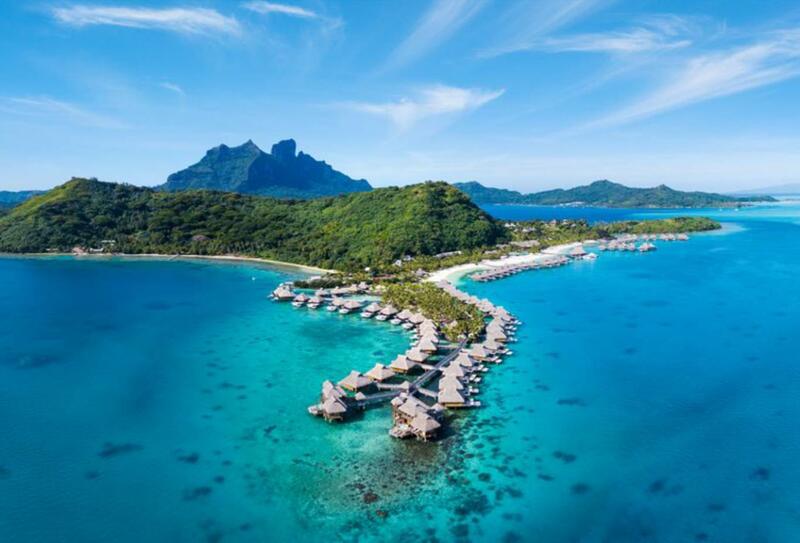 It is a 20-minute boat ride from the airport and a 45-minute flight from Tahiti.